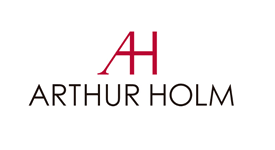 ARTHUR HOLM is a leading European brand of state of the art motorized, retractable and stationary monitors whose designs are based on high end quality materials and cutting edge technology. ARTHUR HOLM’s product range is 100 % customizable and comprises retractable monitors, foldable, unfoldable, rotatable, single and double face, design wall-integration screens, multimedia kiosks and information totems and the company’s latest innovation, a universal motorized lift system for "gooseneck" microphones. All ARTHUR HOLM products are remotely accessible providing the best level of service and flexibility. Our selection of unique, elegant, versatile, space optimizing, energy efficient and ergonomic products are being used in the most prestigious meeting rooms, conference rooms, boardrooms, reception areas, auditorium, congresses, parliaments, senates, institutions and design hotels throughout the world.